I’ve been working as a volunteer for a non-profit organization for writers in the Washington, D.C. area. During my time, I’ve developed a list of ideas to help the organization increase and retain its membership. Among other things, I reviewed more than 20 domestic and international non-profit writing organizations to determine how each group manages their membership. Based on my review and observations, I developed a list of suggestions. 1). Engagement: You need to engage your members and make them feel that they are part of your organization. This can be accomplished through creating committees, sponsoring workshops and seminars, and allowing members to publish articles, white papers and other interesting material on the organization’s website. 2). Create a Discussion Board: By creating a discussion board and allowing members to use it, this will help create a healthy community within your organization. It will allow members to exchange ideas and suggestions. Of course, there needs to be ground rules and someone needs to monitor the discussions. 3). Renewal Notices: Be creative. Send more than one renewal notice. Use colorful envelops. Maybe put a sticker on the envelope reminding members of the upcoming renewal deadline. I once worked for a publishing company that sent out renewal notices in pink envelopes. Odd? Yes, but effective. 4). Recognition: If a member wins an award, receives a promotion, or publishes a book, send him a handwritten congratulations card. You may also make the announcement on your website and social media outlets (with the member’s permission). 5). Webinars: Present webinars that may interest your members. Or, better yet, have your members conduct webinars. 6). Marketing Content: Provide good marketing content on your website that will attract new members. Make sure the material is downloadable and that you obtain contact information, like names, email addresses, and phone numbers. 7). Ask for Referrals: Hey, if your members like your organization, it doesn’t hurt to ask for referrals. 8). Greeting Cards: Send out generic Greeting cards during the holiday season. 9). 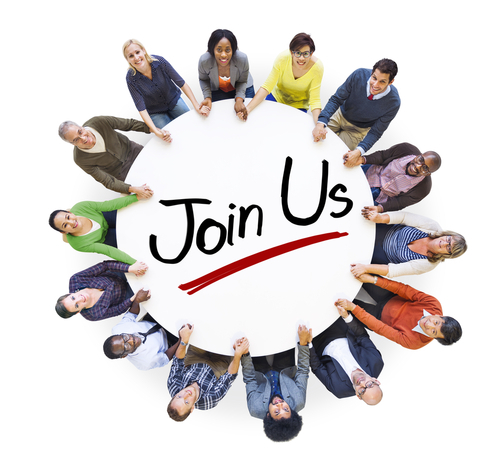 Ask for ideas: Create a membership committee made up of some of your members. Use it as a springboard for suggestions on retaining and increasing membership. Invite all members to offer their ideas. Please let me know if you have any suggestions that you want me to add.